Format: Untimed fun ride, no hard rollout. Two routes with timed segments (via Strava app), neutral pace between timed segments (like a mountain bike Enduro race, hence “Echelon-duro”). Self supported, SAG available with phone call. SAG stop at entrance to Ellwood Shores. Captain Fatty's has agreed to host post Time Trial beers this Monday evening! SBBC will be SBBC will be sponsoring a FREE BEER for 1st, 2nd, and 3rd place and $1 off beers for everyone else. Come beat yourself up on the TT then join us for a beer afterwards! Captain Fatty's is located in the industrial park on the corner of Los Carneros and Calle Real by the roundabout, less than 1/2 a mile from the Railroad Museum. There should be plenty of parking if you want to park there then bike over to the start. The bike course is approximately 10 miles. It begins at the parking lot at South Coast Railway Museum on Los Caneros Road. Then ends at the DP High School parking lot, not back at the Railway Museum. 13th annual Ojai Valley Century Ride, next Saturday, June 4, 2016! 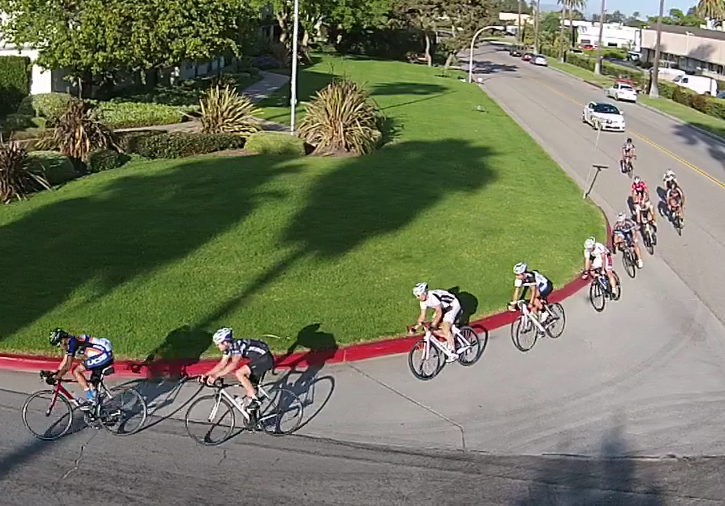 UCSB Cycling will be hosting the Western Collegiate Cycling Conference Championships. This includes collegiate-only team trial trials and road races on Saturday and a criterium with open categories on Sunday. You are all invited to come out Sunday to the normal crit course to cheer on the collegiate categories in the morning or race the open categories in the afternoon. This year, we have prized from French Press, John Jones, Stinner, Castelli, Clif and M Special. Supposedly, if you drop by M Special on Sunday and show your race number, you will get a discount as well. I hope to see many of you out there! The bike course is approximately 10 miles. It begins at the parking lot at South Coast Railway Museum on Los Caneros Road. Santa Barbara Bicycle Club in partnership with Stump Grinder Productions proudly present the Carlos Soto Memorial Criterium January 31st 2016! The 24th annual Monday Nite Time Trial begins March 9th, 2015 and is held every 2nd Monday of the month thru daylight savings time. Check the web site for dates and start times. The bike course is approximately 10 miles. It begins at the parking lot at South Coast Railway Museum on Los Carneros Road. We proceed north to Cathedral Oaks and turn right heading East for 1.3 miles and do a turnaround in the left hand turn lane at Santa Margarita Road. This is the last street just before Fairview where the median strip begins. We proceed West, then up and down Glen Annie Road. The top is 5.4 miles from the start. We then continue up the Dos Pueblos hill and proceed to the turnaround at the indicator for a "stop sign ahead". This is the turnaround which is marked with a circle. It is approximately 20 meters short of the actual stop sign. We then proceed East for approximately 1.3 miles to the finish. The finish is marked with a white checkered line about 50 meters before the traffic light. When finished, make a right turn at the Dos Pueblos traffic light We will then join together in the parking lot at Dos Pueblos.